Pocket Opera presents Smetana’s lesser-known gem. Pocket Opera presents Donizetti’s dazzling romantic comedy. Quinteto Latino teams up with the San Francisco Chamber Orchestra to present family concerts in San Francisco and Oakland. Noe Valley Flute Carolers (students of Diane Grubbe) return to the Noe Valley Farmers Market to perform holiday favorites! sfSound performs improvisations, graphic scores, and other experimental sounds at San Francisco’s historic Prelinger Library. 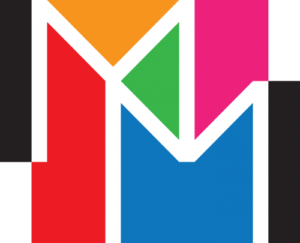 Musical Masterworks hosts Quinteto Latino performing a program of works by Brazilian composers Pitombeira, Miranda, Lobo, Medaglia and Azevedo. Quinteto Latino performs in Rossmoor’s new Event Center. The quintet will present their program Brasília featuring works by Brazilian composers Pitombeira, Siqueira, Miranda, Lobo, Medaglia and Azevedo. SF Music Day is a free day-long music festival presented by InterMusic SF, with performances by more than 35 Bay Area ensembles that span a wide range of sounds and practices, from Baroque to 21st century chamber music, jazz and improvised music, and music influenced by traditions from across the globe. Now in its eleventh year, the festival showcases and celebrates the diversity and breadth of the Bay Area music community. 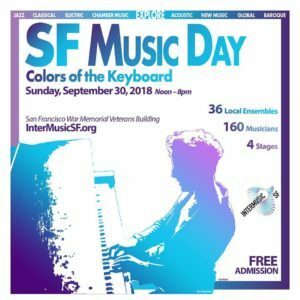 This year’s theme, “Colors of the Keyboard,” highlights the wide range of expression possible on that instrument, from tango rhythms to classical repertoire, adventurous contemporary sounds to grooving electric organ.